Stargazing for people who think they don't have time for stargazing. I have a lot of astronomy books. Some are about astronomical phenomena, celestial objects, and other worlds, some are about telescopes and how to use them, and some of them aren’t really books in the traditional sense but observing tools packaged in book form (the Pocket Sky Atlas, for example). 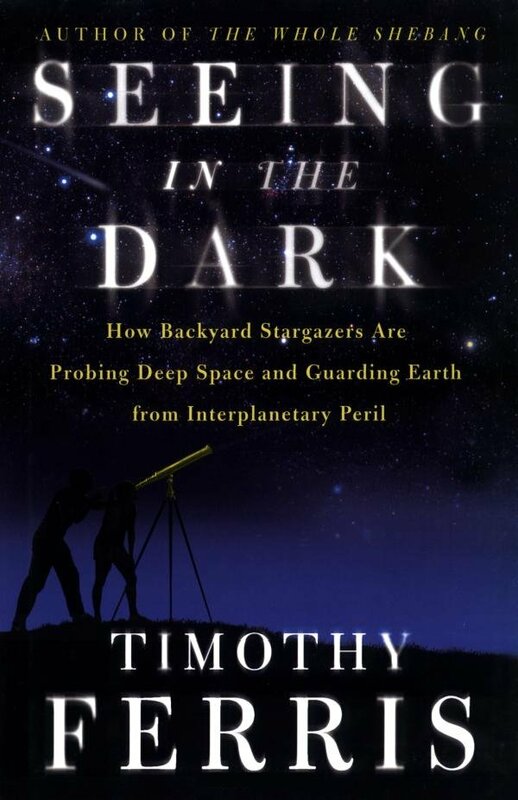 But out of a couple of bookshelves’ worth of astro books, there are two that stand out in particular: Starlight Nights by Leslie Peltier and Seeing in the Dark by Timothy Ferris. These two are personal favorites of mine. I’ve read them both over and over–in fact, I tend to reread them whenever my interest in astronomy goes through one of its periodic flares. The reason I keep coming back to them is that, alone out of all of the astronomy books I’ve ever come across, only these two capture the enchantment of what stargazing feels like. Starlight Nights is a wonderful book and deserves a post of its own, which I hope to deliver someday. But tonight I want to write about the other book, Seeing in the Dark. Ferris is a fantastic writer, capable of taking all kinds of complex ideas and relaying them in everyday terms so straightforward you can’t help but follow along and wonder. Coming of Age in the Milky Way is his Pulitzer-nominated magnum opus, a wide-ranging tour of the growth of astronomical science from prehistory to the end of the 20th century. It is a great book, in just about every sense of the word ‘great’, and one reason is that it never bogs down in dry storytelling. Ferris always has an eye out for the quirks, foibles, imaginative leaps, and lucky breaks that characterize science as a very human enterprise. But he also keeps the other eye fixed firmly on the big picture, our place in it, and how harnessing human passion to the cause of science has allowed us to determine those things. The tone of Ferris’s writing is light, which keeps the pages flowing past like water, and generates a calm into which his occasional profound observations fall like thunderbolts. Reading his books makes you glad to be alive; they are best read on rainy days and cloudy nights, because on sunny days and clear evenings they will make you want go outside and experience the universe firsthand. If you’re young and don’t know where you’re going, the highway is an excellent place to be. The police officers I met along the way would sometimes ask, “What’s the hurry?” but there was no hurry. A dedicated high-speed driver isn’t anxious to get somewhere; he’s already there, where he wants to be–at speed, with the car seemingly shrunk to the size of a motorcycle, or the motorcycle to something not much larger than his hands and wrists, screaming down a road that also has shrunk, to the thickness of one pounding vein, in which somehow there is always just enough room to get by, with nothing in his ears and mind but the scream of the engine and the sound of good strong music, bounced off the “ozone.” Endlessly flying up the road–and for some reason, late at night, two-lane blacktops always seemed to be leading upward–peering into the headlights’ yellow eclipse, I was as alone as some future astronaut adrift in the hard vacuum past Titan. But I never felt lonely. I was in just the right place. Oh man does that bring back memories, of driving across Oklahoma, Colorado, Utah, Nevada, often at night, with the vast empty spaces of the American West lit only by the light of the moon and stars and the tiny almost hearth-like warmth of the headlights. I was also never bored and never lonely. Despite my being jacketed in a car, in a strange way those long drives were and are opportunities for me to commune with nature, to revel in the existence of places that are so big and old and profoundly unprofitable that even in the 21st century they are largely unmarked by hand of man–a yearning that extends smoothly and naturally into the night sky. Seeing in the Dark is divided into three big sections. The chapters under the first heading, The Shore, deal with astronomy, amateur astronomy, and amateur astronomers as things-in-themselves, and also with Ferris’s boyhood forays into astronomy, setting up spindly telescope on the roof of his parents’ Florida house to plumb the heavens and watch the occasional Space Race rocket launch. In Blue Water Ferris takes us on a tour of the solar system, from the sun to the comet belts, with each chapter focusing on one planet or class of object and the strange and often hilarious histories of their scrutiny by astronomers both amateur and professional. The final section, The Depths, takes us to the stars, the Milky Way, other galaxies, and ultimately to the edge and beginning of the universe. But Ferris isn’t done yet: the final 70 or so pages of the book include appendices to get one started in stargazing, notes, and a glossary. It’s a smart setup, and one I’ve never seen replicated anywhere else: by the time you finish the book, you’ll want to go stargaze, and right there Ferris gives you the tools you need to get started. I pressed a button on the steel control box, and the telescope glided toward the center of the nebula. I gasped at the sight: Reefs of brick-red and pearl-gray gas clouds were parading by…. Their light had been traveling through intergalactic space for 180,000 thousand years, dissipating all the while as it spread out, but it was still bright enough to make me squint. I recoiled, and found myself gazing at a stream of light that spilled out from the eyepiece like a flashlight beam. 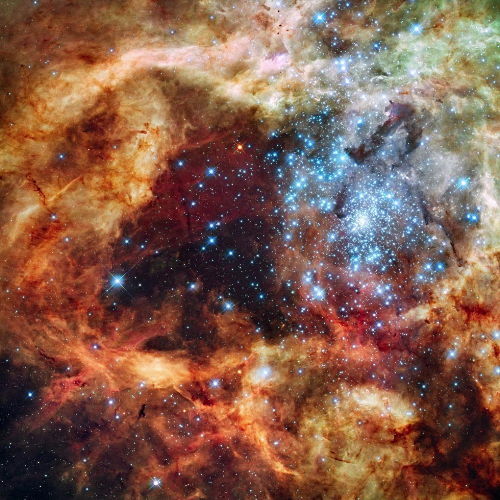 Looking up, I saw that it projected a fuzzy, circular image of the nebula on the inside of the dome. The night assistant’s voice crackled through the intercom. “Tim, you OK down there?” I tried to speak, but could find no words. Stately, self-possessed, a murk of mingled stars and gas clouds presenting itself to the eye in hues of silver to charcoal to India ink, a galaxy is so commodious as to contain, I should think, more stories than anyone, anywhere, shall ever come to know. Although there was no sign of a supernova in this particular galaxy on this night, I lingered a moment before moving on, just to look. I felt absurdly happy, like the early French balloonist who, once aloft, refused to come down. 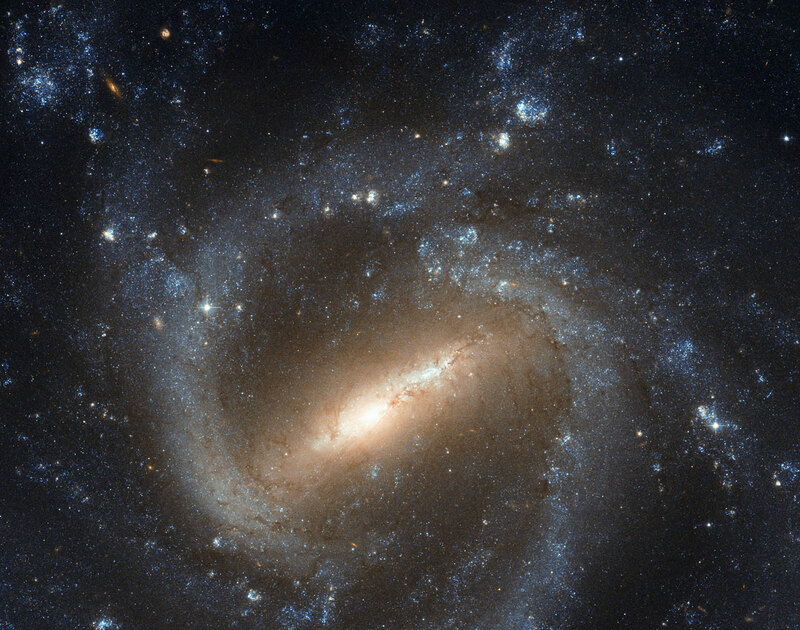 You are currently browsing the 10 Minute Astronomy blog archives for the day Wednesday, February 22nd, 2012. Stargazing for people who think they don’t have time for stargazing.